Confession: I probably read blogs more than I read books, magazines, and probably safety information cards – you read it once, you get the gist right? Head down, heels off. But back to what I was saying, I read blogs a lot and if I were to say a specific amount of time, I’d say maybe 2-3 hours a day. It’s my main way of connecting with other people, seeing what’s new, getting inspired, and general just wanting to support and enjoy those who motivate me to do more (see this post from Monday). I mentioned in my last Blogs I Love Post that my actual verbal appreciation of bloggers sometimes loses it’s way, so to kickstart a new month and the weekend here’s my Part 2 of Blogging Babes I Love And Deserve All The Appreciation And Love Ever! InTheFrow – I’ve followed Victoria for a while now and absolutely love her America posts (all the wanderlust) however her chic, sleek styling is always bang on and gives me so much wardrobe envy especially her beautiful shoes. Victoria also features some great beauty reviews and GRWM videos which I love to catchup with on a weekend, and the fact she also has a Doctorate is beyond impressive and aspirational – mega babe status achieved! The Little Magpie – Amy just always nails an outfit, be it a bold co-ord or an all black ensemble (serious envy as I find it so hard to pull off all black, madness I know) plus her accessories are always incredible – a statement shoe, hat or headscarf, even her sunglasses and bags just make me want to place an order on everything she owns. Serious girl crush. LLYMLRS – Lily‘s blog was one of the first I discovered, and both her beauty and fashion offerings are honest, well reviewed and cover so much ground. Her lipstick reviews enable me to go buy them right there and then, plus her LFW coverage in the past as been brilliant to read too as well as her recent Contiki and Trek America tours. Katie’s Beauty Blog – Katie knows her way around a kohl liner plus her regular mix of drugstore and high end really catches my attention – she’s also one of the loveliest people I’ve ever met! Her friendly personality makes you feel like you have a one-on-one through every video or article, plus with everything covered from acne to eczema, lipsticks to tattoos, you’ll find something to enjoy reading. I Covet Thee – Another beauty babe I’ve followed for yonks, Alix is always ready with a bold red lip in hand and some divine makeup and skincare offering across her YouTube and blog. I always love her monthly roundups or makeup tutorials as I get to discover some amazing new products – as if I didn’t need another reason to try some Sunday Riley…. ZOELDN – Firstly, Zoe has some of the greatest hair in the blogging world – if I ever needed a reason to dye mine blue again it would be because of how amazing Zoe looks with any shade. But about the blog, and Zoe has so much going on – fashion, beauty, travel inspiration – and she really deserves so much more success and recognition. I really appreciate the honest and ‘this is real life’ edge to all her posts – her London accommodation post is one to make you think, as is this one about returning from a life changing trip – and I can’t wait to see what she does next. From Roses – Beautiful photography, classic styling that makes me want more stripes in my life, and a brilliant compilation of list and advice posts that are always engaging to read and reply to, Rebecca has got the dreamy blog style nailed. Also the Editor of A Little Opulent (another favourite read of mine), Rebecca has a fabulous connection with readers that makes you feel involved and welcome, as well as unbelievably in awe of her photos and flatlays! The Sunday Chapter – Angela is an absolute babe who knows how to write a list and come up with some incredibly healthy treat recipes – be still my beating heart. Her photos are also so amazingly crisp that it makes me want to reshoot everything, plus her recent Bali photos have reignited my dear to go travelling there and act like Liz Gilbert. Weird fact, I was following The Sunday Chapter four years ago on Tumblr before we even started talking across Twitter and our blogs – meant to be right? Cider with Rosie – Rosie‘s blog is everything I could ever want from living in the South, beautiful countryside aesthetics, food reviews and snaps to drool over daily, and there’s always an injected bit of happiness with her weekly ’10 Things That Made Me Happy’ posts. Rosie’s bakes are also the stuff dreams are made of, and she’s always sourcing out the next best lace to grab something to eat in London – food and happiness, definitely the way to my heart. Well, I can’t do a blog post without mentioning my pals can I? If you’re looking for amazing fashion on a budget (plus some fringe inspiration) then you need to get following Ally in Blunderland – the ultimate babe, and she’s hilarious too, what more do you need? There’s also Saida Cane, who is bloody gorgeous and has lovely beauty and lifestyle posts throughout her blog that make me want to hop on a train to Paris asap and have mermaid long hair (the jealousy) but another true babe who you need to follow it’s imperative. My gal Emily from Eternal Sunday always has the best bits from Norwich up on her blog and it actually makes me want to move there as it looks so pretty! There’s also great round-ups of My Little Box subscriptions and also her recent outing to R1BW which I am so envious of, but she’s too nice to be mad at so it’s okay. Finally, my girl Meg Says is killing it on her channel at the moment – 8K subs in a matter of months, whaaaat?! – she’s so happy and bubbly, full of positivity, and all her posts and videos share the importance of recognising ME as a real chronic illness that people should take seriously. Her story and journey is admirable, inspiring, and she’s doing so much to educate others (myself included) that you need to go say to her like, yesterday. Saturday’s were made for relaxing, kicking back and reading your favourite blogs or books, so spread a little love to these babes and catch up on some pretty amazing content from your favourite bloggers – it’ll be the best bit of relaxation all week. 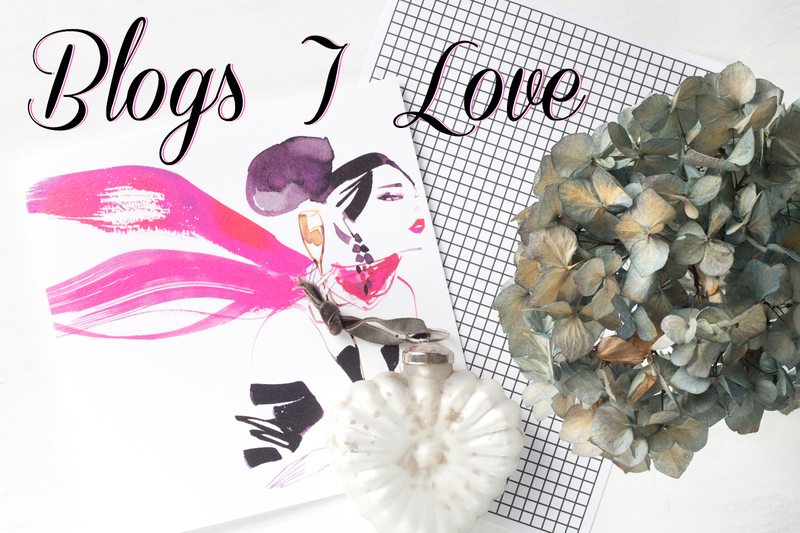 Who are your favourite bloggers? Have you discovered a new read? How much time do you spend reading blogs?